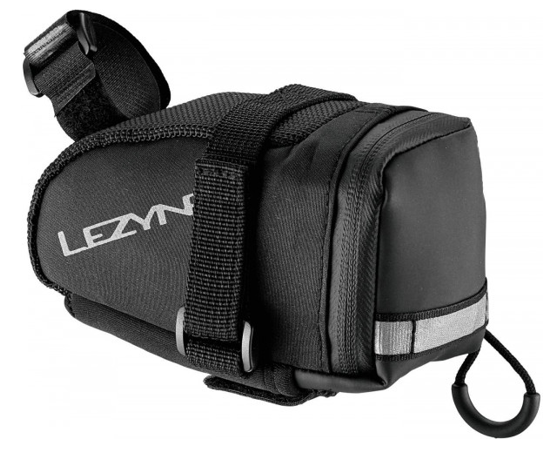 Product information "Lezyne Saddlebag Caddy (M) incl. CO2 Cartridge Twin Speed Drive 2x16g, black"
A complete, practical kit for the driver who focuses on speed. With a Twin Speed Drive CO2 inflator, two 16g CO2 cartridges, a RAP 6 multi-tool and polymer matrix levers in one of our best-selling M Caddy organizers that are stowed away well on your bike. Prepare for all the important things needed for a race or situation where quick repair and tire inflation is a must. Related links to "Lezyne Saddlebag Caddy (M) incl. CO2 Cartridge Twin Speed Drive 2x16g, black"
Customer evaluation for "Lezyne Saddlebag Caddy (M) incl. CO2 Cartridge Twin Speed Drive 2x16g, black"